Big Star & RAW SPORTS BOXING presents “The GRANDY Twins” DOCUMENTARY…. 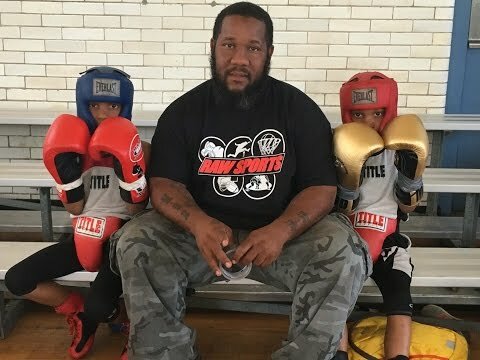 8 YEAR OLD AMAZING YOUNG PHILLY FIGHTERS. On 6/11/16 when the twins were 7 years old, Big Star linked up with them and their father/trainer Danny Grandy in their hometown of Philly, PA to tell this amazing story of these future champs. Gravitating towards the gloves after they could barely walk, the twins would naturally follow along with the long tradition that is in their DNA. You may have seen clips on social media of the twins training each other independently in the middle of a Philly block or another one of their many viral videos that have reached millions of views on Facebook & Instagram, such as their sidewalk training session that made it to ESPN… but now, Big Star & Raw Sports brings the Rawest & Most Exclusive film/interview thus far. Learn all the cool things about this family, stories about their past, the twins favorite foods/cartoons, the future, and more! Danny Grandy (dad) and the twins are in the RAW SPORTS BOXING Family so stay tuned for more exclusives, training sessions, and fights! SEARCH THE WEBSITE OR YOUTUBE CHANNEL FOR MORE OF THE GRANDY TWINS.